Miss Alex introduced me to the most amazing little website: Parchment Post. I am over the moon with excitement! Parchment Post is a subscription based card service—every three months you’ll get six cards produced by small designers and expertly curated by Jamie Ambabo. Friends, I am all over this! I just had to write Jamie, and insist we become friends. I hope she says yes! I just discovered your site and am completely smitten! I love everything about it, from your cleverly designed logo (I heart airmail) to the post-mail cheer you are spreading nationwide. You are brilliant! I don’t know how you came up with this idea, but I am so glad you did. I immediately subscribed and am eagerly awaiting my first lot of cards! 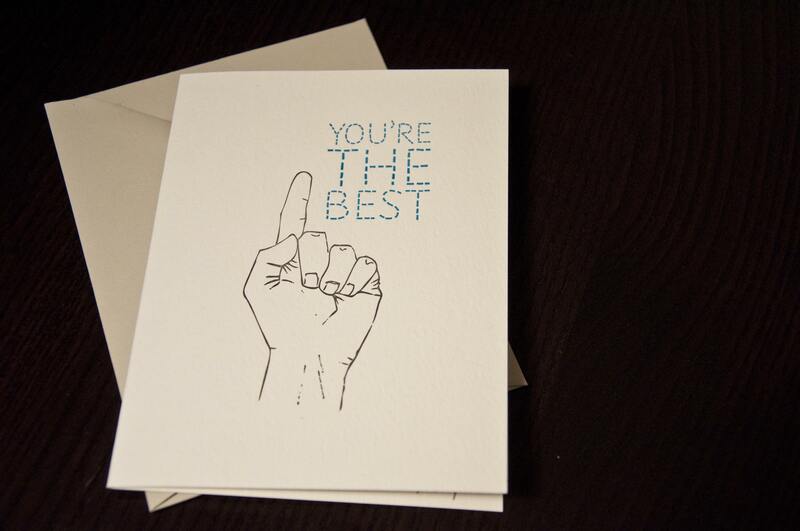 Best of all, I love knowing there are kindred spirits out there, championing letter-writing one card at a time. We really must be friends. What do you say?! I hope you develop a huge following. And that snail mail lives on, forever! Hope she writes back quickly! Thanks so much for featuring my card! I wondered if you might update the link to my etsy site. I am in the belabored process of building my own website. It’s a masochistic thing…I have very little idea what I’m doing! OH but of course. I was searching high and low for a proper link. :) Best of luck with the website… but please do not let it interfere with your beautiful stationery design, wink. These cards by Shilling Halfpenny are awesome!